Wedding/Corporate DJ, Photo Booth Rental, Unlimited Photo Prints,Wedding Invitations and Electronic Invitations. Pest Control Pros was established for the sole purpose of providing reliable and affordable pest control services to the domestic, commercial and industrial markets with quality service, safety and customer satisfaction in mind. We specialize in the elimination and eradication of all major pests including rodent control, cockroach control, ant control & termite control. Like all well-established pest control companies, we are registered with the South African Pest Control Association (SAPCA) and only use pesticides registered under ACT36 of 1947. Our operators are fully licensed with the Department of Agriculture and have received the highest levels of training by the Pest Management Academy. Furthermore, full supervision is provided on-site to ensure every effort is made to satisfy our clients pest control needs. Using the latest integrated pest control techniques, we are able to eradicate all infestations while reducing the risks to ourselves, our clients and the environment. These techniques include the use of gels, baits, residual sprays, glue boards, ultraviolet attractants and even physical barriers. Pest Control Pros was established for the sole purpose of providing reliable and affordable pest control services to the domestic, commercial and industrial markets with quality service, safety and customer satisfaction in mind. 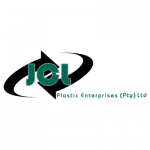 JCL Plastic Enterprises (JCL) was established in 1995 with the aim of providing quality recycled High Impact Polystyrene (HIPS) and Rigid Polyvinyl Chloride (PVC-U) to plastic companies in the Gauteng province of South Africa. Today JCL supplies many different plastic materials to companies throughout South Africa, South East Asia and Europe. Scrap, off cuts and redundant materials are purchased from plastic processors, baled, granulated, or pelletised and then supplied back to the plastics industry, thereby reducing environmental damage and providing a cheap alternative to virgin plastic materials. JCL’s activities encompass the full plastic recycling spectrum. These activities range from plastic scrap trading on the one end, to the production and selling of finished products manufactured from recycled plastic on the other. JCL are also buyers of most forms of clean ex-factory scrap. 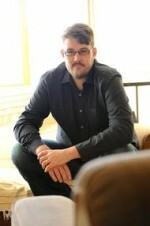 Professional indoor and outdoor photographer. I specialise in product, catalogue, corporate, website photography. Products / Services: I specialise in product, catalogue, corporate, website, event photography. Assisting clients of all ages. Also offering scholastic assessment for children and adolescents, up to the age of 17. Helping you do business smarter with unified service.